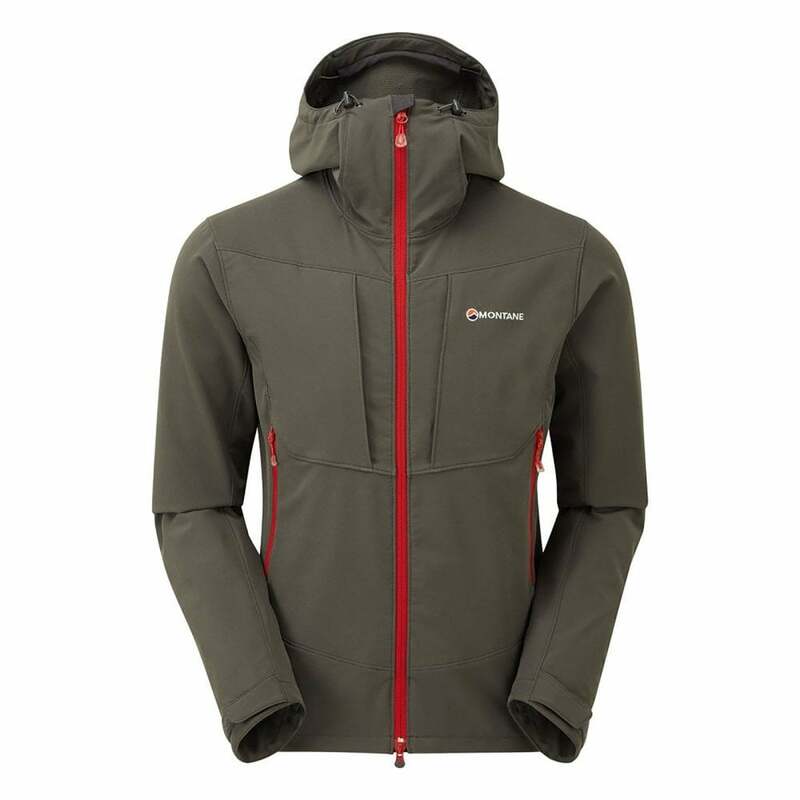 The Montane Men?s Dyno Stretch Jacket is a lightweight mountain softshell designed to provide versatile stretch performance when walking or hiking in the mountains. The softshell jacket can be worn alone, with a baselayer or with a layering system during colder weather. The lightweight Chameleon Kinetic fabric is wind resistant, breathable, quick drying and wicks moisture away from the body, making it an ideal layer when working hard. The 4-way stretch of the fabric allows for dynamic body movement, ideal for climbing and mountaineering activities. The fabric is treated with a DWR (Durable Water Repellent) finish for protection in light showers. The hood of the jacket is fully adjustable and helmet compatible with three points of adjustment and a wired peak for improved visibility. The fit of the jacket is technically tailored to reduce hem lift. Features of the Dyno Stretch Jacket include 2 OS map sized mesh lined hand pockets, 2 chest pockets, a soft brushed microfleece beardguard, shaped adjustable cuffs and a fully adjustable hem.